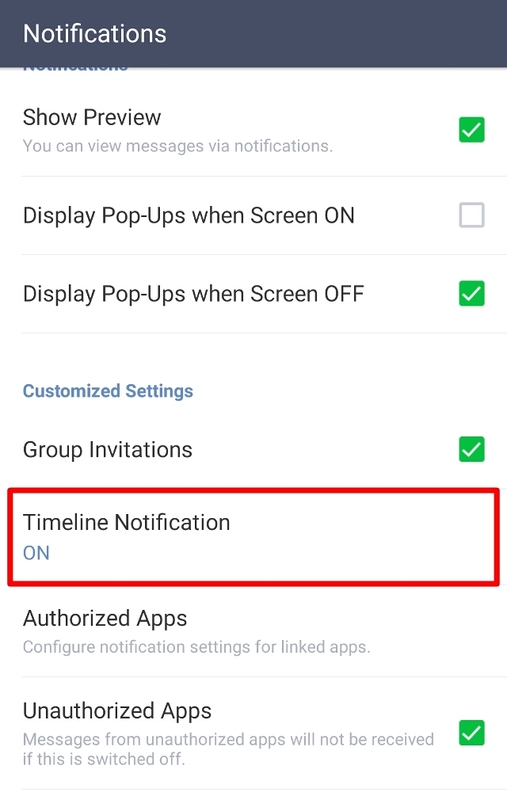 If you are not receiving Timeline notifications, please refer to this article regarding Timeline notification settings. If you are unable to resolve your issue after checking the above article, please try these basic steps. • Restart your device and the app. • Update LINE to the latest version. 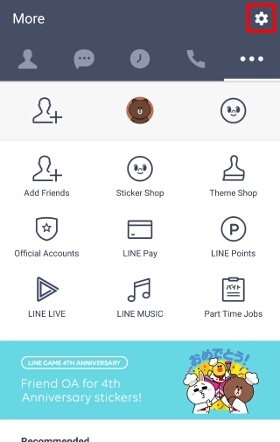 Additionally, issues may occur if you do not use LINE with the recommended system specifications. Please see here for the recommended system specifications. Note: We do not offer support for devices that are jailbroken or rooted. • Check if your network connection has any restrictions or filtering services in place. • Clear the LINE app's cache. 1. On your device go to Settings > Apps > LINE. 2. Check under STORAGE > tap Clear data. Note: The steps may appear differently depending on the device. If the app crashes when you try to view the Timeline, there may be Unicode characters on it. 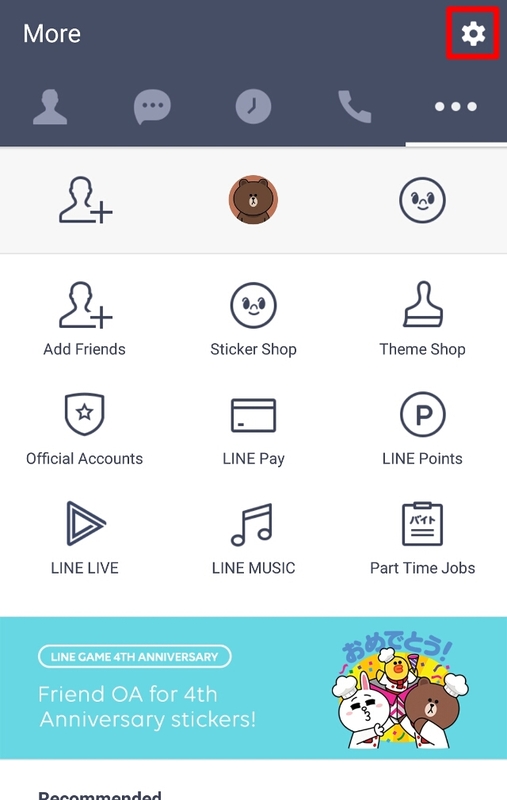 Please register an email address to your account and check for any Unicode characters on the PC version of LINE using the following articles. Please log in using the email address and password you registered to your LINE account. If you find a post with the Unicode characters, please block the friend who posted it and see if it solves the issue. If the above does not solve the issue, please try the basic steps. • Checking the amount of memory available on your device and SD card. • Re-downloading the stickers (if these are the images you're having issues with). 1. From the Friends or More tab, tap Settings > Stickers > Sticker set order. 2. Next to the relevant stickers, tap Delete > Delete. 3. From the Friends or More tab, tap Settings > Stickers > Purchase history. 4. Tap the relevant stickers > Download. If the issue persists after you've tried everything above, or if you're experiencing a different issue, please try the general solutions below. • Text: Up to 10,000 characters per post. • Photos and videos: Up to 20 per post. • Regular stickers: Up to 20 per post. • Sound, animated, and pop-up stickers: Up to 1 per post. Note: These can't be posted with regular stickers. • URLs and locations: Up to 1 each per post. Timeline posts will also appear on your Home, and will be visible to your friends based on your Timeline privacy settings. If you don't want a post to be seen, you can limit the audience from the privacy settings before sharing it on your Timeline. Depending on which version of LINE you're using, you can make posts to Timeline with one of the methods below. • Tap the Friends tab > your profile > Home > the pencil icon at the bottom right. • Tap the Timeline tab > the What's New? field, pencil icon, Camera or Stickers at the top of the screen. • Tap the Friends tab > your profile > Posts or Photos/Videos > the pencil icon at the bottom right. • Tap the Timeline tab > the pencil icon at the bottom right > Write or Camera. Note: You can update to the latest version of LINE here. When someone Likes or comments on your post, a number will appear on the bell icon at the top of your Timeline. 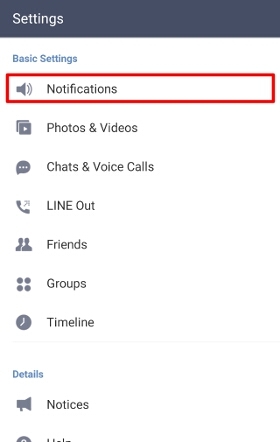 If you turn on Timeline notifications, you will also receive alerts on your smartphone’s notification screen. Tap the comment you want to reply to, enter your reply, then tap Send. 2. Tap the Like or comment icon under the relevant post. You can use text or stickers to show how you feel about a post. You can also delete a comment you posted by swiping left or pushing and holding the post in question, then tapping Delete. Choose from 6 LINE character faces to show how you're feeling at that moment. If you Like a post that is set to public, it will be shared with friends on their Timeline. 1. At the top right of the post you want to edit, tap the "..." icon > Edit post. 2. After editing or adding information, tap Post at the top right. If you're using a version of LINE earlier than 6.6, you won't be able to edit information other than written text or add information like photos or stickers once you've completed your post. Only a certain number of posts are shown on the Timeline. If you want to see all of a friend’s posts, please go to their Home. If you add the # symbol in front of text (e.g. #LINE) when you make a post, it will create a hashtag. Tapping a hashtag lets you view all posts that include the same hashtag. Note: Posts with hashtags that you've made Public can be searched for and viewed by users other than your friends. Try using hashtags when you want to share your posts with a larger audience. Entering the @ symbol in front of a friend's name (e.g. @Brown) lets you tag them in a post. When you tag friends, be sure that they're included in the privacy setting you select for the post. Note: If the post is not shared with your friends, they will be unable to view it. When the post is completed, the friends you tagged will be notified. You can choose your desired time to have a post automatically delete itself. 1. Enter the details for your post. 2. Tap "..." > Timer. 3. Choose the time you want the post to be deleted, then tap Post. Please be aware that any Likes or comments on this post will also be deleted at the same time. To Like a comment, tap the Like icon on the relevant comment. The relay feature gives you a separate place to post together with friends on Timeline. Just select Relay on Timeline, and you can share fun memories, secret places only you know, new clothes you bought, and other topics with your friends. Anybody can make a relay on Timeline! Try using a fun theme and invite your friends to join. You can set which friends can participate in a relay. If you want to share with all of your friends, just choose Friends under Who can join. You can also share a relay with close friends only by choosing a group or custom list of friends. When you start a relay you can choose to send notifications to friends to join. You can change the settings to notify friends by tapping the person icon on the top of the relay creation screen. If it's you or your friend’s birthday, you'll be able to send or receive a message in a special birthday card post. You’ll have 48 hours to send your friend a birthday card once the post appears. Note: Cards that were sent within the 48 hour period can be viewed at any time. Your birthday post won't appear if you have the Show my birthday setting turned OFF. 2. Tap Profile > Birthday. 3. Turn ON Show my birthday. 1. Tap Share location on the Timeline post screen. If you can't find the location you want to post, you can search for its name or address in the search field on the location selection screen. You can use multiple photos and a variety of effects to make slideshows or GIF animations and post them in Timeline. 1. On the post editing screen, tap the icon at the bottom right > Create GIF or Create slideshow. 2. Select the photos you want to use and tap Next. 3. Edit the content any way you like, then tap Done > Post. You can hide a Timeline or Home post from certain friends using one of the methods below. Tap the privacy settings (Friends, Public, Only me, or Close friends) at the top of the post editing screen. If you select Only me from the privacy settings, you'll be the only person who can see the post. If you only want to share a post with certain friends, please see here. 1. Go to More > Settings > Timeline. 2. Tap the Included tab at the top of the Share settings screen. 3. Tap Exclude next to the name of the friend(s) you want to hide your posts from. If you exclude a friend from your share settings, they will no longer be able to view any of your posts. 2. Tap the Excluded tab at the top of the Share settings screen. 3. Tap Include next to the name of the friend(s) you want to share your posts with. You can limit who is able to see your posts on Timeline or Home by choosing a certain group to share with, or by creating a close friend list. Please use one of the methods below. You can do this when making your post. 1. Tap the Timeline tab > the pencil icon at the bottom right > Write. 2. Tap the globe icon at the top of the screen and choose your privacy setting. Note: The privacy setting you choose will be the same the next time you post something. 2. Tap the globe icon at the top of the screen. 3. Under Friends, tap > next to All friends. 4. Tap Exclude or Include next to the name of your friends. Make a close friend list and choose a privacy setting for each post. 3. Under Friends, tap +Add close friend list. 4. Tap the members you want to add from the Friends or Groups tab > Next. 5. Rename your new list and tap Save at the top right. 3. On the Friends tab, choose the close friend list you want to share your post with. ​If a new post is added on Timeline while the LINE app is in use, you will see a notification mark appear on the Timeline tab. By default, Timeline and Home posts are automatically made visible to newly added friends. To change this, please follow the steps below. Your friends' posts will appear on your Timeline. If you do not want to see posts from certain friends, please refer to the steps below to hide them. 1. Tap "..." at the top right of a post by the friend whose posts you want to hide. 2. Tap Hide all posts from this user > OK.
- If you have set to hide posts from a friend, all of their posts will be removed and newer post will not appear on your Timeline. - Friends will not be notified when you hide them. Please follow the steps below to unhide a friend and see their new posts. 2. Tap Timeline > Timeline hidden list. 3. Tap Show next to the friend whose posts you want to see. Note: If you choose to unhide the friend's posts, any posts that were previously hidden will not appear again. If both you and another user have added each other as friends on LINE, you'll be able to see each other's Timeline posts. Posts will not appear to either of you if only one of you has added the other as a friend. Note: If you make a post Public on Timeline, users other than your friends will also be able to view it. If you don't want a post to be viewed by certain friends, please configure your Share settings for those friends. To hide your Timeline posts from friends you add in the future, please turn the Allow new friends setting OFF. • You are blocking your friend. • Your friend has blocked you. • You added your friend to your Timeline hidden list. • Your friend's Share settings for Timeline are set to Excluded. Note: If you've created a new account, please ask your friend to check their Share settings. If you've blocked your friend or added them to your Timeline hidden list, you can view their Timeline posts again by unblocking them or removing them from your Blocked users list or Timeline hidden list. The audience of a Timeline post can be limited using privacy settings. The human silhouette icon on a Timeline post means that only some users can see the post. By tapping the icon, you can go to the note in the 1-on-1 or group chat that it is visible to. Posts you set to share only with yourself or specific friends will also appear on your Home. However, the content of those posts will only appear on your device. When you choose a privacy setting other than Public for a Timeline post, it will not appear to friends outside of that setting or whom you have set as Excluded in your Timeline Share settings. Note: The content of posts set to Only Me will not appear to anyone but yourself. If a user other than your friends or whom you've set as Excluded in your Timeline Share settings visits your Home, they will only see posts that you've made Public. Since anyone can view Timeline posts that have been made Public, posts from users who aren't your friends will appear in your search results. Please note that Public posts can also be shared by your friends. You can configure the settings of your Timeline to display posts in order of most recent, most popular, etc. 1. Tap More > Settings > Timeline. 2. Switch Show popular posts first OFF. All of the friends who joined a relay can see the content posted to it. After the relay period has ended, only the posting feature becomes unavailable. You can still see the posts that were made during the relay period. You can change the relay period settings by tapping the person icon on the top of the relay creation screen. Both Timeline and Home are places where you can enjoy communicating with other users. From the Timeline page, you can see text messages, photos, videos, stickers, and other activity from your friends and yourself in real time. You can also Like or comment on your friends’ Timeline posts, or reply to comments on your posts. The Home page is a personal space where only your Timeline posts are displayed. Your friends can visit your Home and Like or comment on your posts. You can also visit your friends’ Homes. Content that you post on your Home will also appear on Timeline as well, so your friends will be able to view it. If you want to hide a post, please refer to this Help article. Please note that while users who are not your friends can visit your Home from hashtag search results, they can only see posts you've made Public on Timeline. Timeline and Home can be accessed on LINE for iOS, Android, Windows 10 Mobile, PC, and LINE TIMELINE for web browsers. Note: Timeline and Home can't be accessed from LINE for Chrome. • From your friend list, tap a friend’s name. • In chats, tap a friend's icon > Home. • On Timeline, tap a friend's icon or name. • Tap the icon or name of a friend who commented or Liked your Timeline post. • Tap your own icon or name at the top of your friend list. • On Timeline, tap your own icon or name. 1. Tap "..." at the top right of the relevant post > Delete. 2. Confirm by tapping Delete once again. Tap and hold the comment you want to delete > tap Delete. Note: You cannot copy a comment on Android OS. If you tapped Like on a post or comment, you can undo it by tapping Like once more. Note: You cannot remove another user's Like. You cannot delete Likes and comments left by an account no longer in use. Only the account owner can delete or hide them. You can give your Home screen more personality by setting a cover photo. Note: Your cover photo is the image displayed behind your profile photo. 1. Tap your own name at the top of your friend list, or tap your profile icon or name on Timeline. 2. Tap Edit profile > the cover photo at the top of the screen, or tap and hold your cover photo > tap Select cover photo. 3. Select a photo, trim it, and tap Next. 4. Edit the photo any way you like, then tap Done. 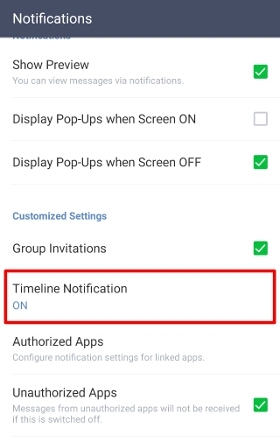 You can turn off notifications sent to your device about Timeline activity using the steps below. 1. Go to the More tab > Settings > Notifications. 2. 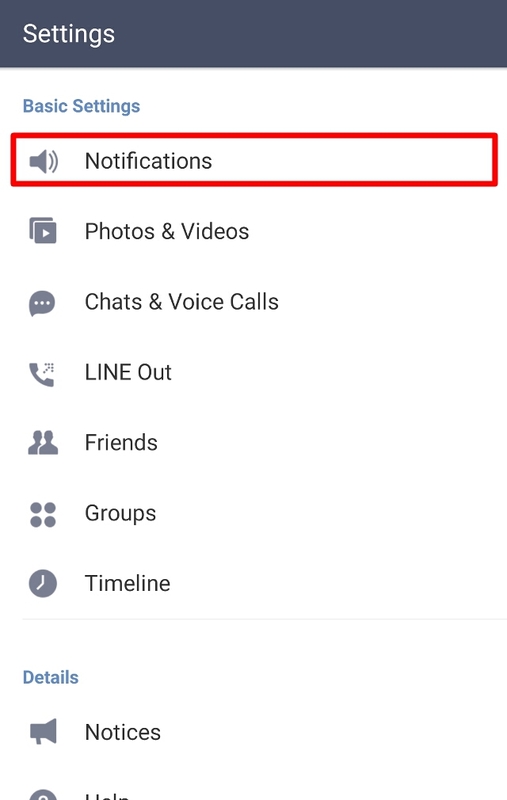 Configure the settings for Timeline Notification. Even with notifications turned off, you can still check new activity on your Timeline posts by tapping the bell icon at the top of the Timeline. 1. Tap the Friends or More tab > Settings > Profile. 2. Turn Share profile media updates OFF. If you find something inappropriate on Timeline, you can report the user who posted it from the Timeline screen. 1. Tap the "..." icon on the top right of the post you want to report. 3. Select your reason for reporting the post, then tap Agree & send. 1. Tap and hold the comment you want to report. 3. Select your reason for reporting the comment, then tap Agree & send. - Your birthday won't be displayed if you haven't registered it, or if you've hidden it. - Your LINE ID won't be displayed to your friends. If you're having issues with Timeline or Home, try the general solutions in this Help article. If you're having either of the issues below on Timeline, you can resolve the issue by rejoining the relevant group. • The name of a group you were a part of shows up as "Unknown." • When you tap a post from a group you were a part of, a message says you don't have permissions for the group.